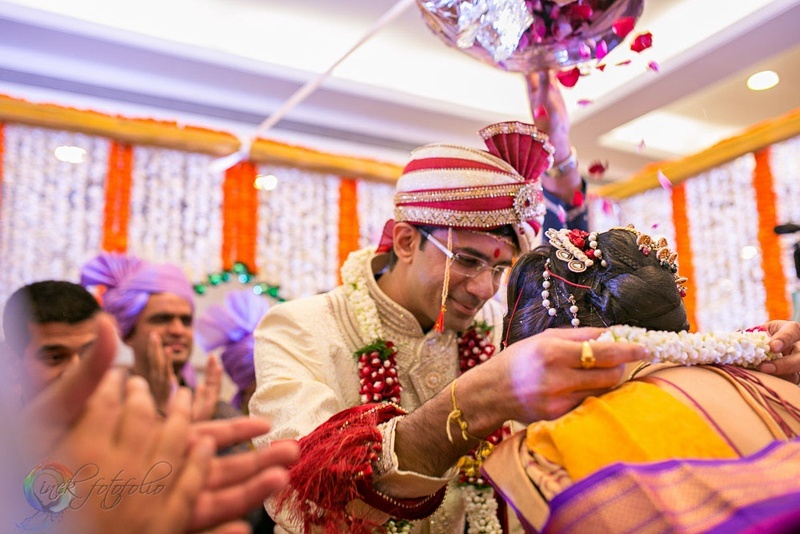 Lots of happiness and traditions, mixed with bright colours, good food and a whole lot of love! 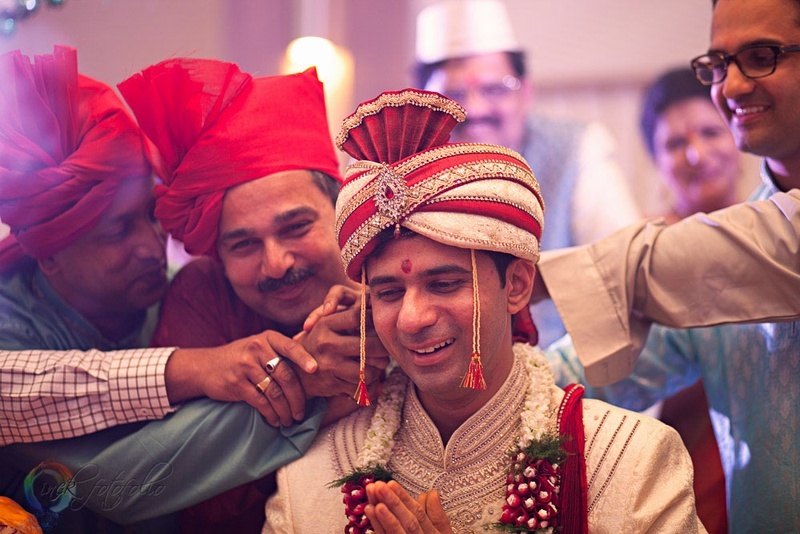 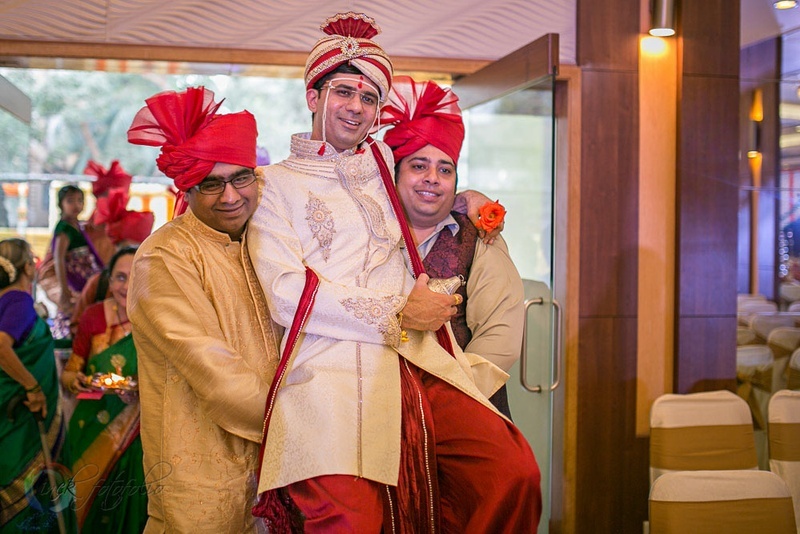 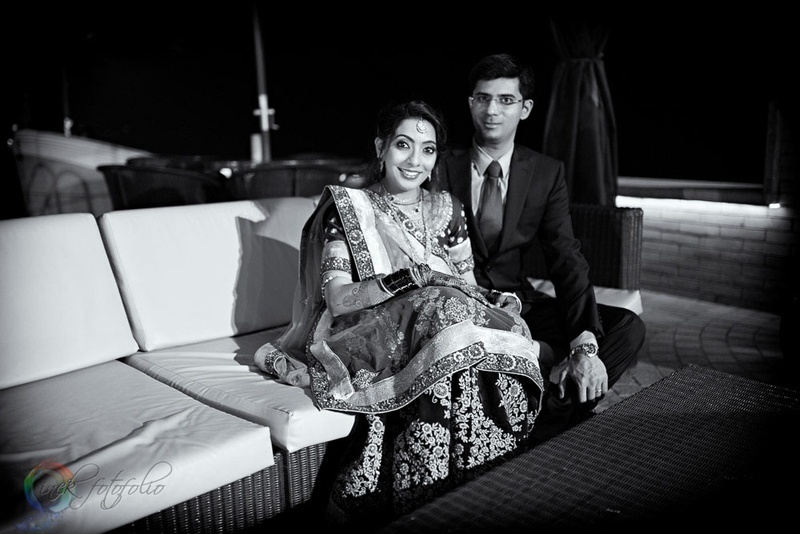 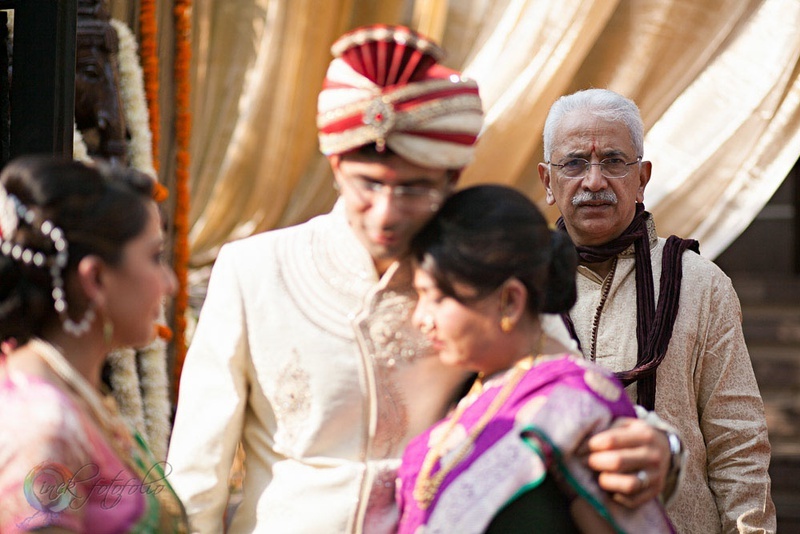 The wedding celebrations of Sharvari and Sanket were truly memorable! 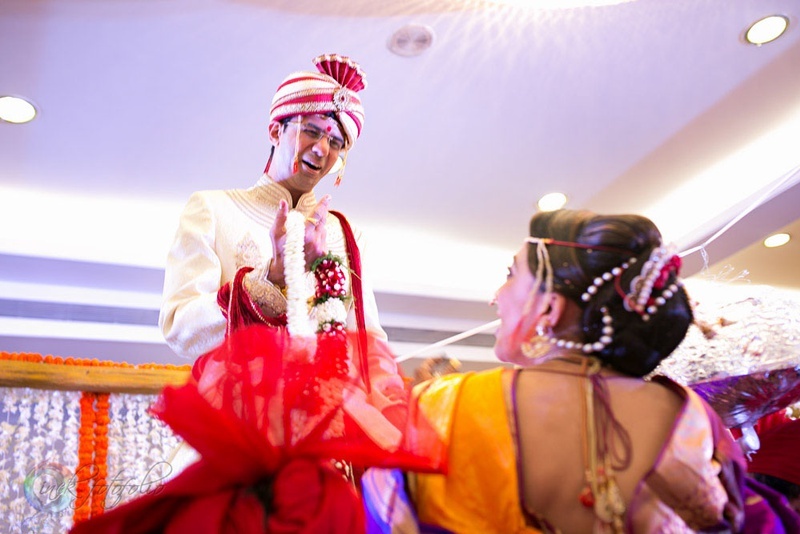 A brightly lit Vedi mandap decorated with fresh marigold and jasmine strings hosted the lively Varmala and Saat pheras of this ethnically dressed couple. 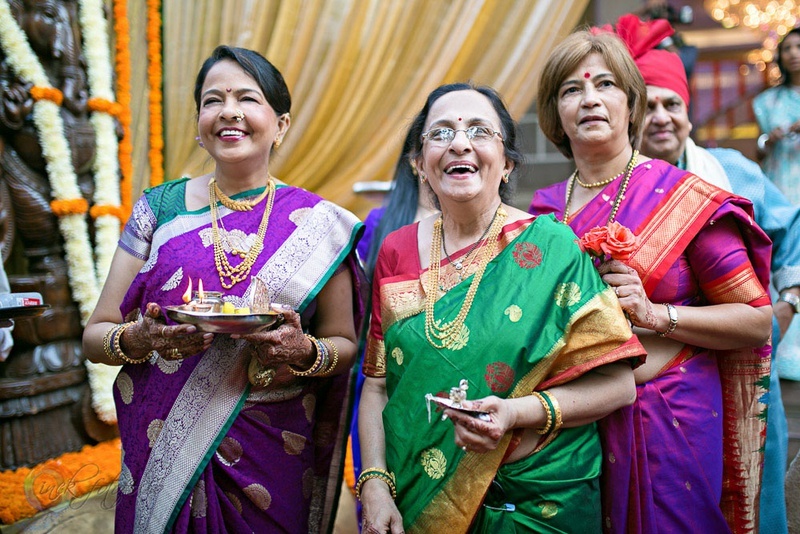 Sharvari donned a traditional yellow Nauvaari saree and wore an eggplant purple shaalu with it. 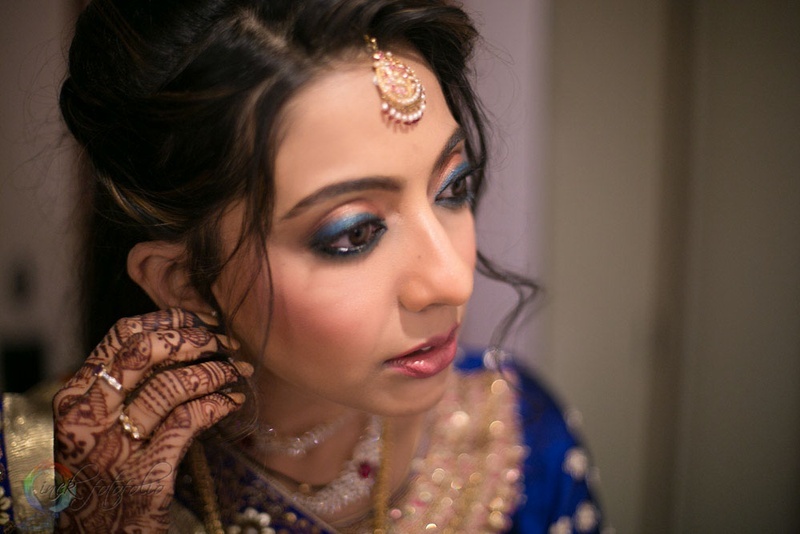 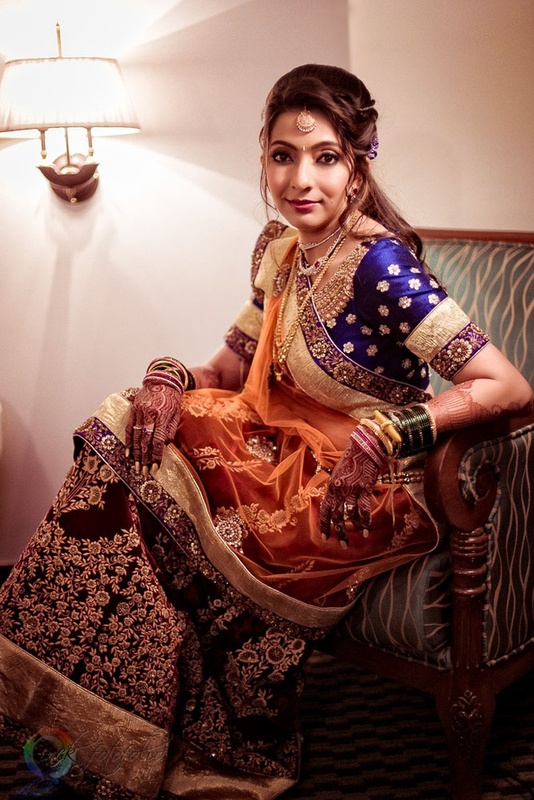 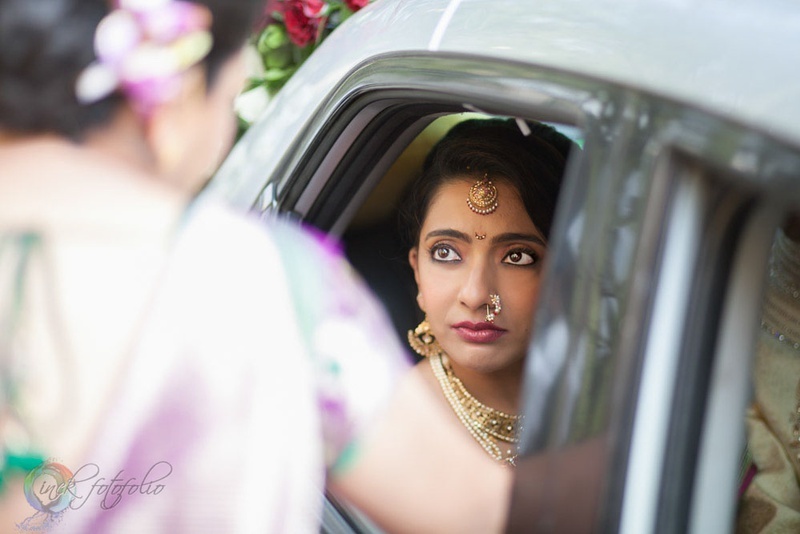 Her bridal accessories were minimal and elegant, keeping in mind the principle of ‘less is more’– her dainty maangtika and necklace were definitely our favourites! 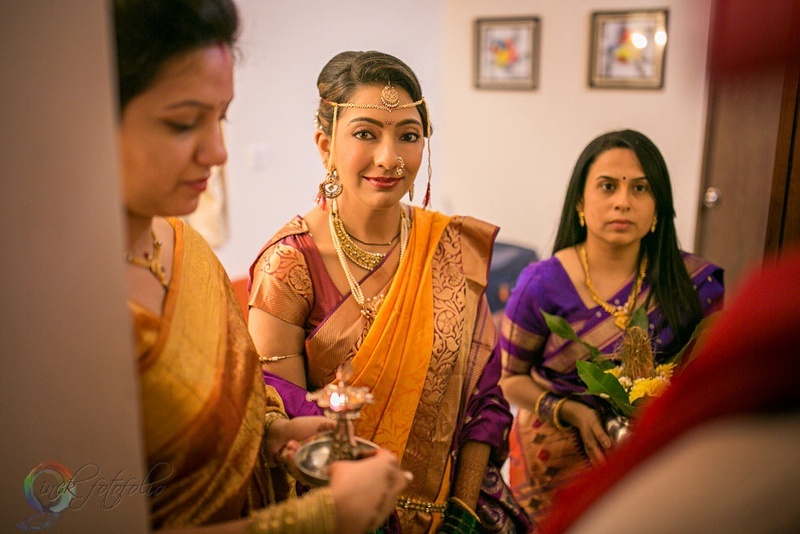 Her saree and accessories coupled with the bright smile on her face took her entire look to a whole new level of elegance. 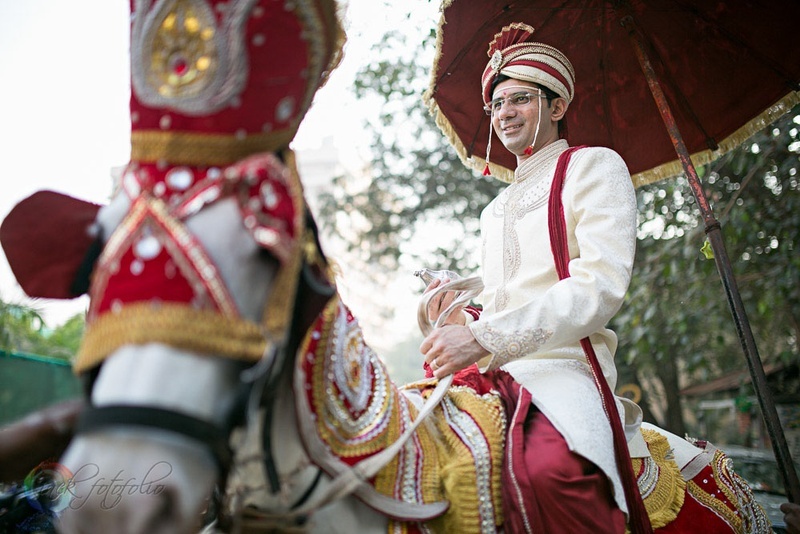 Sanket, the handsome groom, opted to go classic with his look in an off-white, textured sherwani paired with a red dhoti and matching dushala. 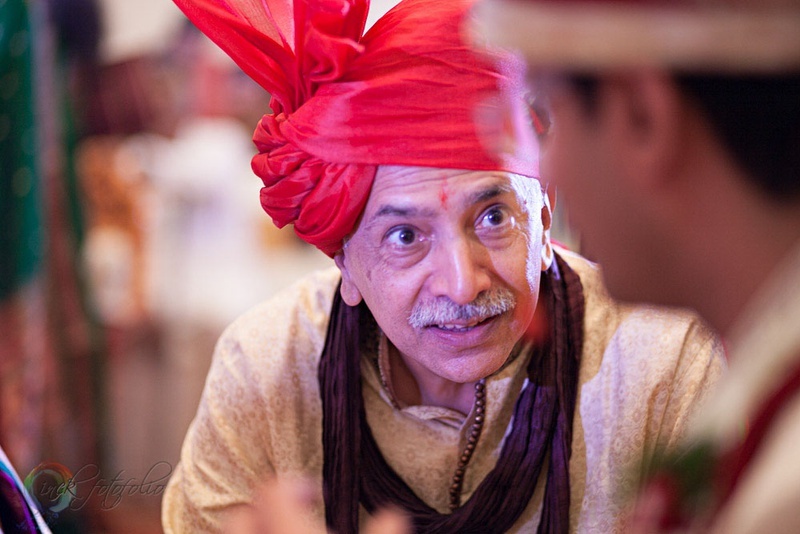 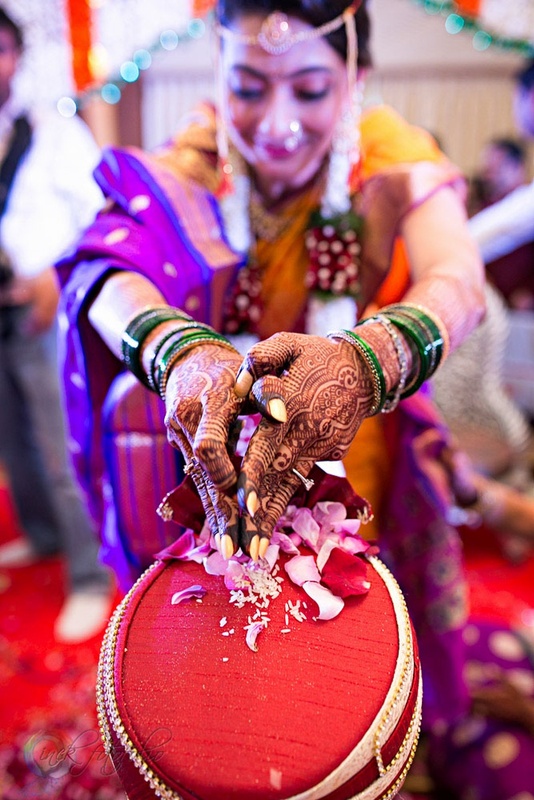 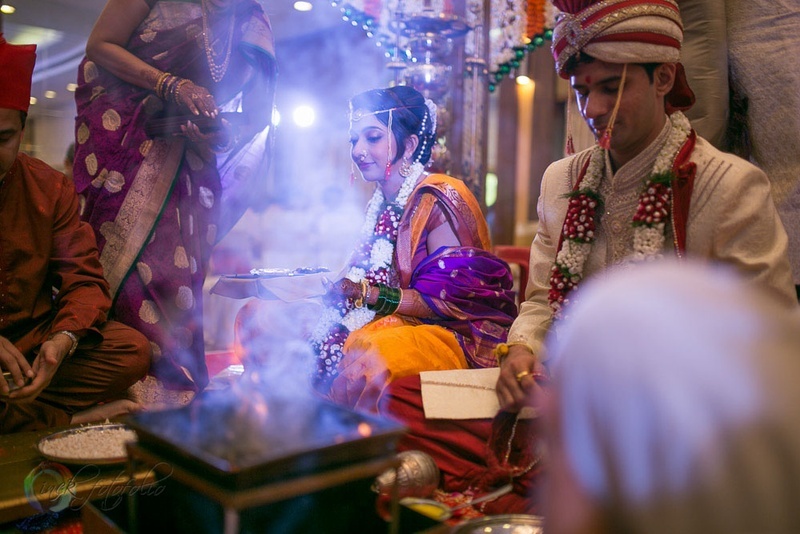 The highlight of this traditional Maharashtrian marriage was definitely the sweet age-old Kaan-Khichai ritual captured at the right moment by the talented team of Scarlet Weddings. 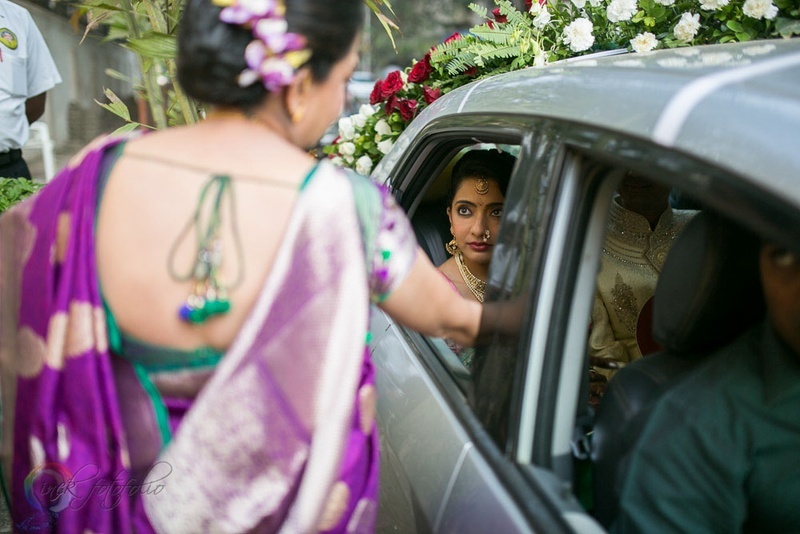 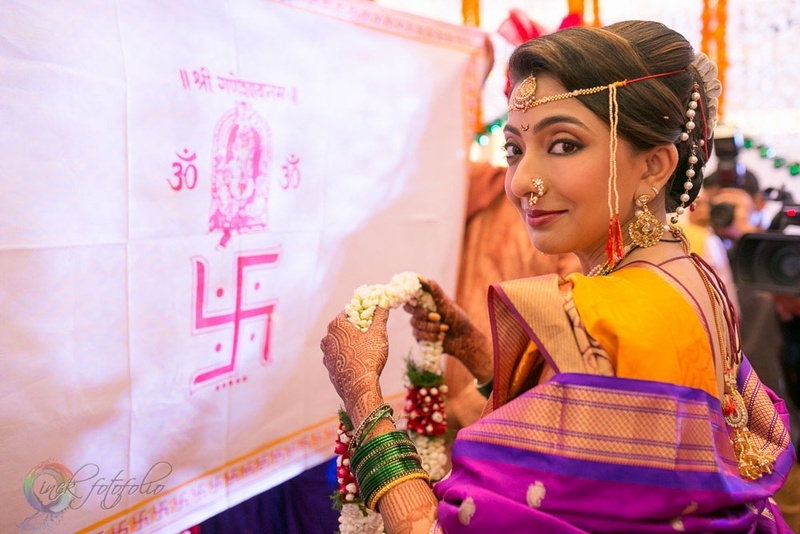 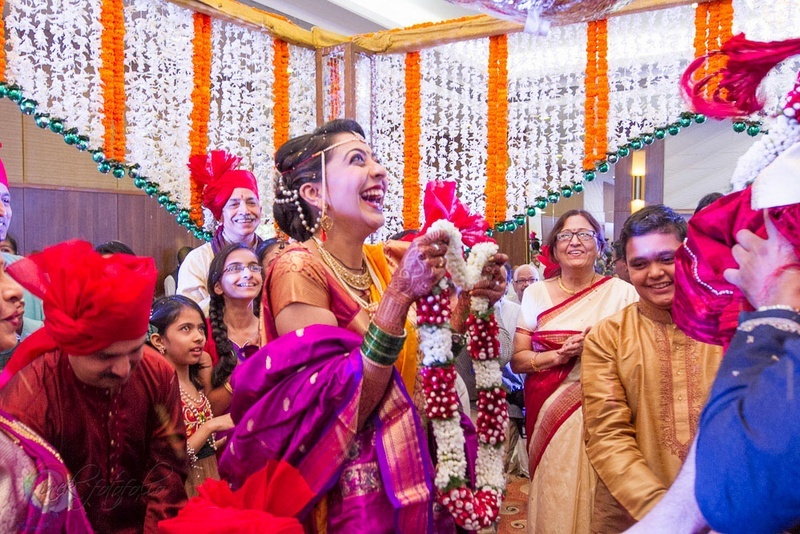 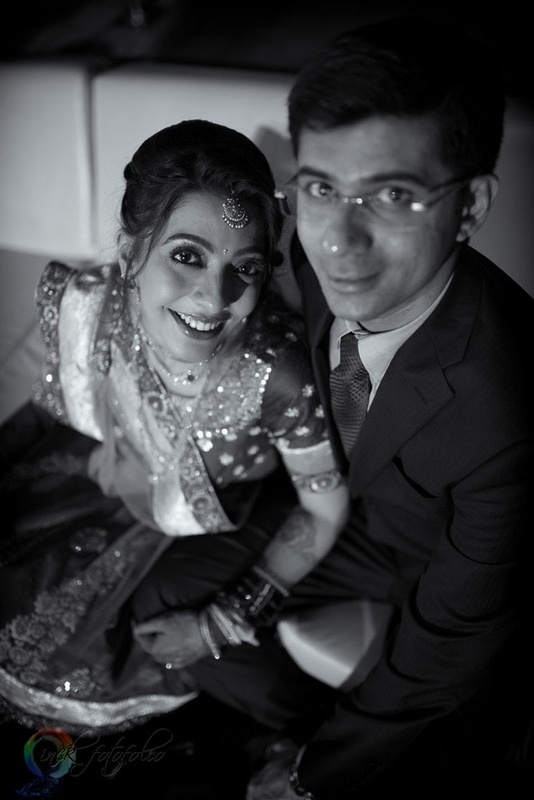 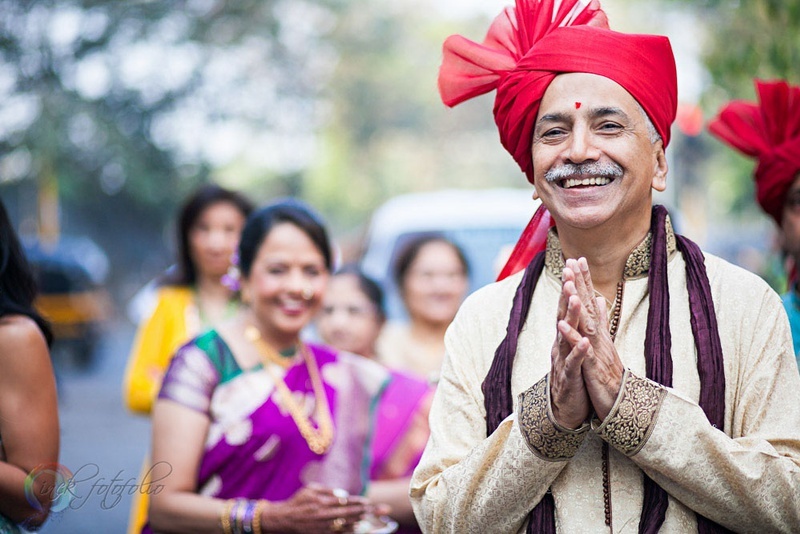 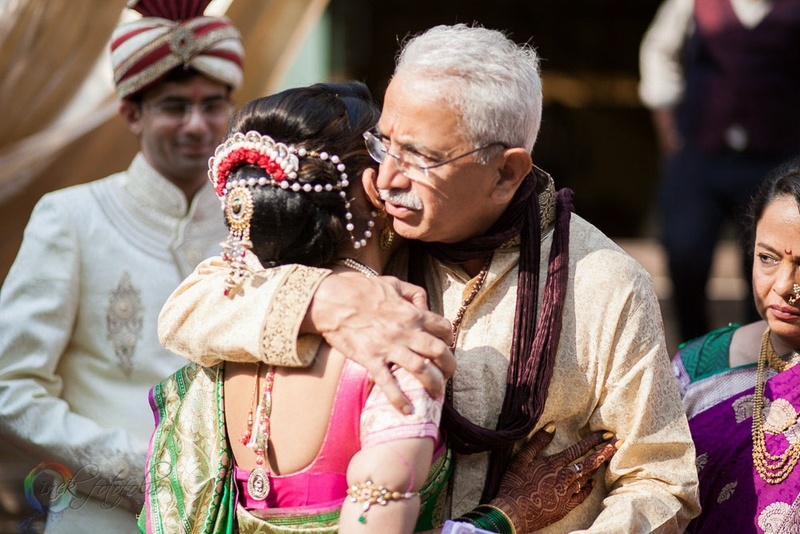 It did an exceptional job in capturing this joyous union with a keen eye for detail – whether it was the romantic post-wedding shoot or the bittersweet vidai ceremony, each image captured spoke a thousand words!